We are delighted to announce that ADEY has strengthened its Commercial Water Testing service by securing an extension to our scope of UKAS ISO 17025 accreditation for microbiology and Legionella testing. In addition, we can now carry out UKAS accredited confirmations for Legionella, Pseudomonas Aeruginosa and Enterococci using the instant and informative MALDI-ToF confirmation technique. This allows samples to be confirmed instantly down to a species level for a greater range of bacteriological flora. It also has the added benefit of removing the presumptive stage of culture based analysis and reducing confirmation times as shown below. Carried out at our state-of-the-art laboratory in Sittingbourne, Kent, the microbiological testing is available alongside chemical testing to offer customers the full scope of UKAS accredited services for closed system analysis. 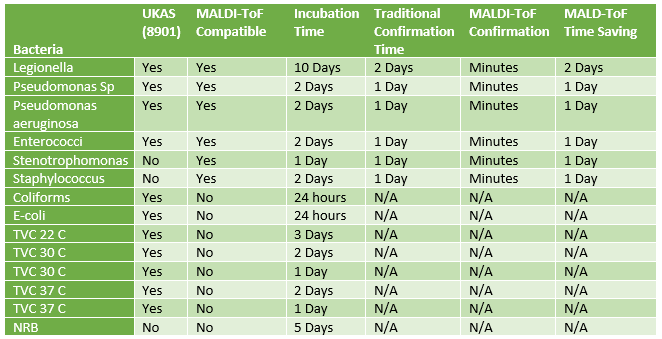 Our lab is one of the few able to offer instant confirmation of culture-based tests and the MALDI-ToF offers full species identification for most culture based samples. Customers can currently drop off samples at 11 convenient locations around London and the South East, including Slough, Camberley, Moorgate and Stevenage. 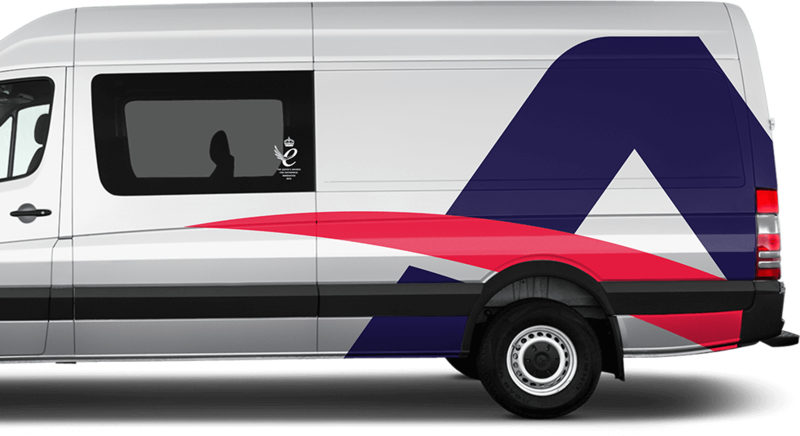 There are plans to expand our portfolio of drop-off locations so that we can support more customers across the UK. All microbiological samples will be transported in a temperature controlled environment to ensure with UKAS guidelines. We have also developed a bespoke online quoting system for our analytical services. This allows you to view the range of services on offer from ADEY to help support your Water Hygiene and Water Treatment needs. To discuss how ADEY’s Commercial Water Testing service can help your business or to arrange a meeting with one of our Business Development team please call the laboratory on 01795 411 542 or email commercialtesting@adey.com.